Compelling New Price - $50K Price Reduction - Seller has Moved out of state- Priced to Sell! Exceptionally Built, Immaculately Maintained, Never Rented, Expansive family beach home. Over $100K in Upgrades! $83K in Rental Revenue projections. New Exterior/Interior Paint, New Furniture, New Decor, New AC Unit. Expansive Open Living Space, Chef's Kitchen, Wrap Around Covered Porches & Balconies, Ground Floor Master Suite w/ En Suite Bath, Walk-in Closet w/ access to Covered Porch. Total of 2 Substantial Master Suites w/ En Suite Bath. Massive Guest Bedroom with King & Queen Bed w/ Large Walk-in Closet, French Doors to Balcony, sharing large Full Bath w/ Guest King Suite that also provides a Large Walk-in Closet & French Doors off Balcony. Morning Kitchen, Laundry Room, & Bunk Room/Office SpaStanding apart from all the rest in Seacrest Beach. Exceptionally Built, Immaculate Maintained, Never Rented. 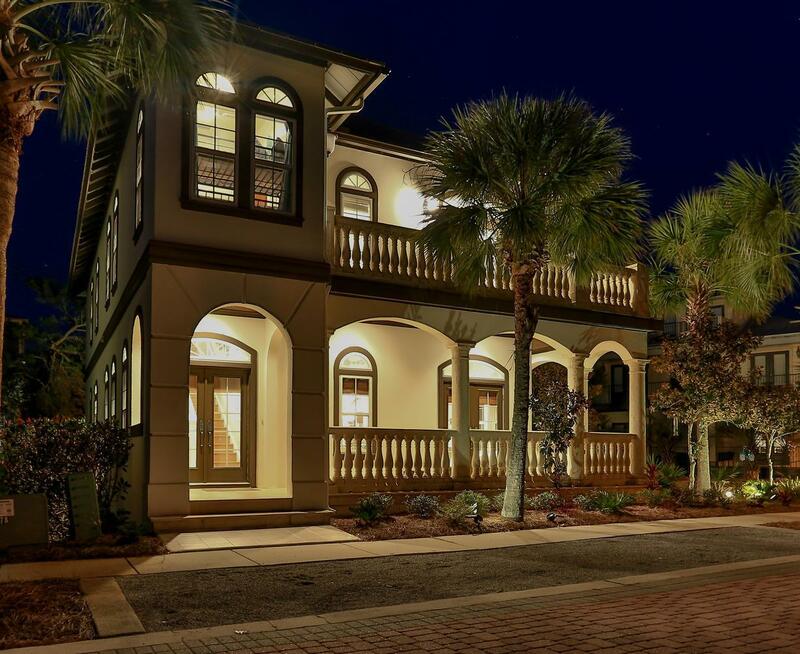 This striking beach home takes on a commanding presence by way of its visually stunning exterior, positioned on an over-sized corner lot, and bounding with mature landscape. This solid masonry & concrete substantial home is incomparable to the all the rest, recognized as a stunning stand out in the neighborhood. Highlighted by the Mediterranean design, the home's exterior offers never ending wrap around covered porches & balconies, striking columns, dramatic arched floor to ceiling windows, and French doors throughout the home leading to an abundance of outdoor space. Once inside the home, massive living spaces filled with light, soaring ceilings with deep crown moldings offer you a beautiful beach home with unlimited space for family and guests. Wide open living spaces abound with room to stretch out and enjoy great family time at the beach. In the expansive family room you are surrounded by floor to ceiling arched windows flooding the room with light. There is more than enough room for everyone to find their favorite spot. French doors lead out to a covered porch to enjoy morning coffee or the evening sunset. Right off the family room you will find a convenient full bath to provide to your guests. Open floor plan dining space allows for a large dining table with bench seating, perfect for fond family memories of dinners filled with discussing treasured days at the beach. An over-sized kitchen island / breakfast bar is terrific for entertaining or dining with the children. The large Chef's Kitchen does not disappoint offering a wine fridge, pantry, under mount cabinet lighting, a plethora of storage, and plenty of counter space for large family meals. Wrap around covered porches & balconies surround the home and offer quiet tropical views. A rare and generous ground floor Master Suite w/ En Suite Bath can be found off the family room. This suite offers large arched windows bringing in lots of natural light, a large walk-in closet, and en suite bath with separate shower and jetted tub. This master suite also offers access to the covered porches, and completes the 1st floor. The home is perfectly designed with an additional & substantial 2nd floor Master Suite with En Suite Bath also offering access to the wrap around balcony. You will find a Morning Kitchen on the 2nd floor landing, along with a large laundry room with plenty of built-in cabinets to store all your necessities. A massive guest bedroom featuring a king & queen bed w/ large walk-in closet, French doors leading out to the balcony, and sharing a large full bath w/ the guest king suite. The guest king suite also provides a large walk-in closet & French doors leading to the balcony. Flexible Bunk Room/Office Space with French doors leading to balcony completes the 2nd floor. Expansive Off Street Parking for at least 5 vehicles plus Golf Cart. 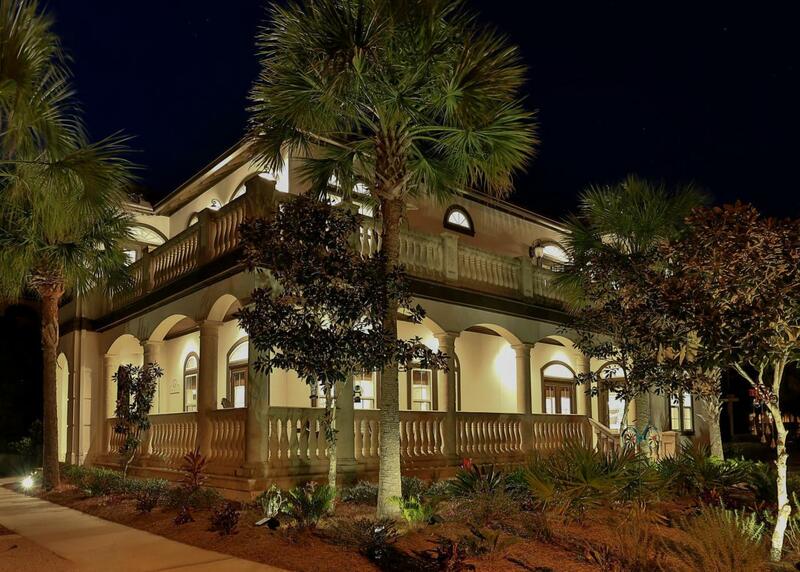 Seacrest Beach is perfectly positioned between Rosemary Beach and Alys Beach, offering you all there is to discover along 30A. Dining, shopping, and entertainment are right at your doorstep. Come enjoy Deeded Beach Access to the sugar white sands and emerald green waters of Seacrest Beach. Year round Beach Tram Service takes you to and from the beach, making beach time with the family easy! Or enjoy the 12,000 sq ft Lagoon style community pool, now offering a poolside cafe for lunch in the sun. 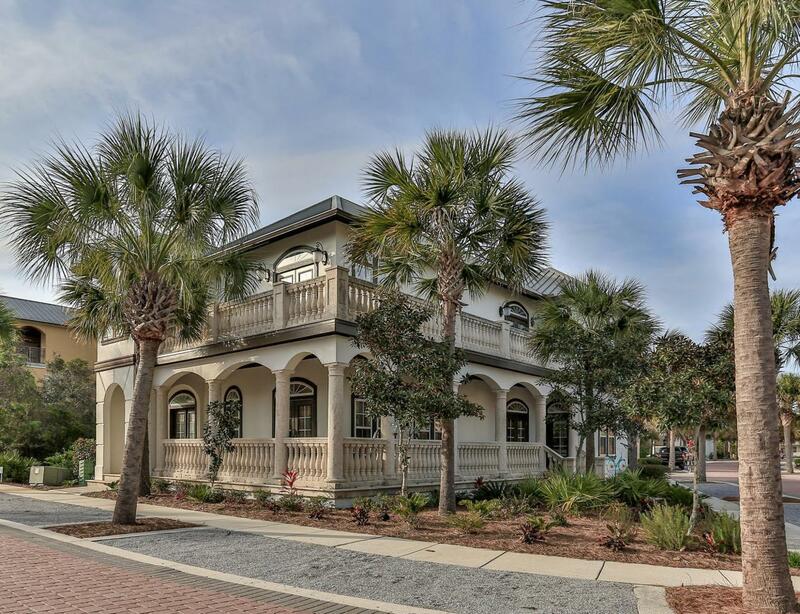 The Seacrest Beach neighborhood also provides several beautiful green spaces for recreation and play, along with a wooded Nature Preserve, and wooded Nature Trail surrounding the neighborhood, offering a great escape for the nature enthusiast. A perfect family beach home, standing apart from all the rest. 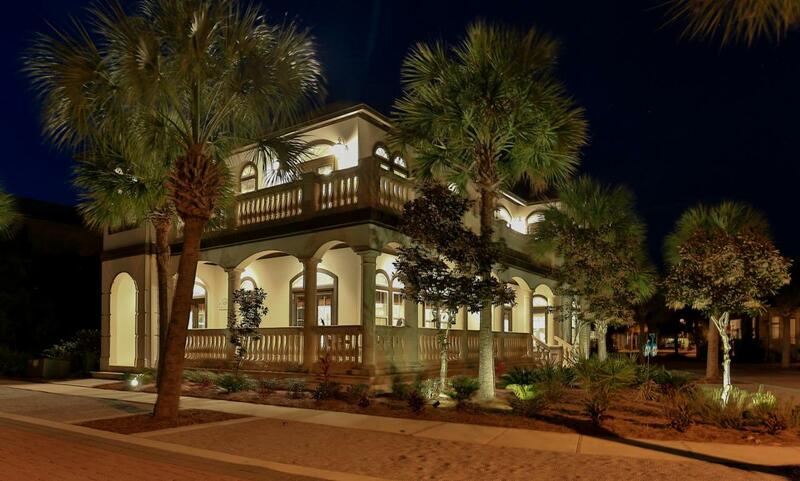 Located in a perfect beach side neighborhood, awaiting you in Seacrest Beach on beautiful 30A.